The Avg. Group Saves 6.9%! RAMADA ENCORE VIRGINIA LUXEMBOURG. The newest hotel in the cultural capital of Minas Gerais. All floors of the hotel have undergone artistic interventions to make your experience unique and memorable. 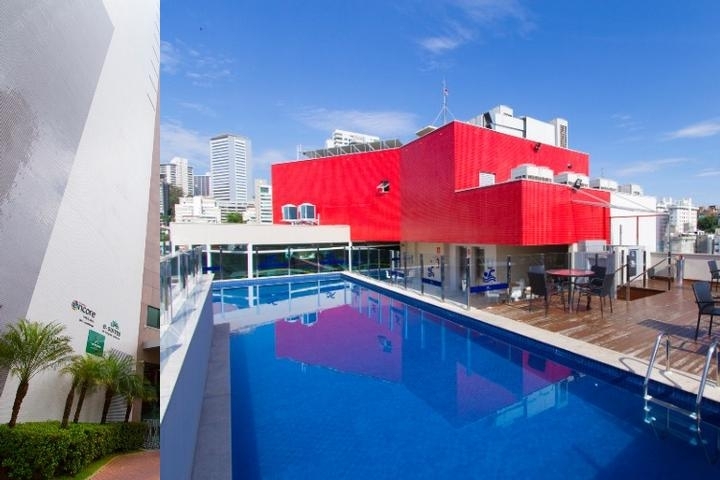 For each floor, a musical genre was performed by urban artists from Belo Horizonte. Samba, Choro, Baião, Jazz, Blues, Rock, Reggae, Rap and Electronic Movement were recorded through the artists impression, in an intense and singular result. Located in a region full of attractions, the Ramada Encore Virginia Luxembourg and also offers easy access to the most important areas of the city, as well as the routes linking Belo Horizonte to other destinations. Food, drink and living The Hub, Cultural Space of coexistence, where the guest has pool, drinks and musical instruments available for its use, besides supplying. The room fridge with food and Beverages of your own and be always connected with Internet access. The Ramada highlights above are subject to change without notice. 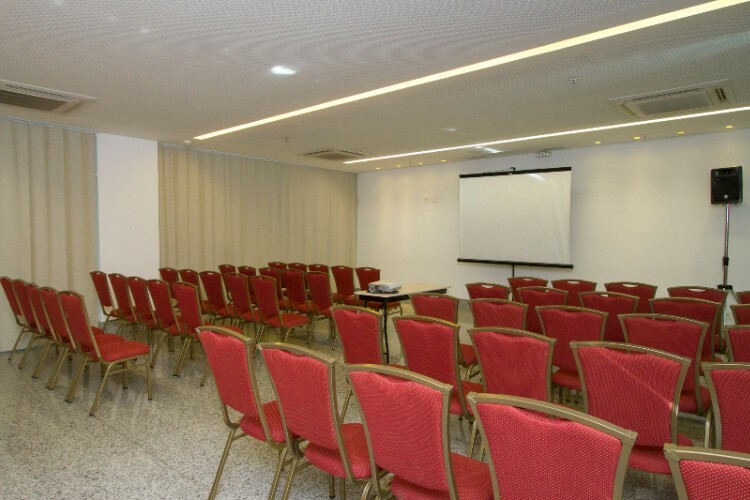 Below are the meeting, banquet, conference and event spaces at Ramada Encore Virginia Luxemburgo Belo Horizonte. Feel free to use the Ramada Encore Virginia Luxemburgo Belo Horizonte meeting space capacities chart below to help in your event planning. Hotel Planner specializes in Belo Horizonte event planning for sleeping rooms and meeting space for corporate events, weddings, parties, conventions, negotiated rates and trade shows. 7 x 8 x 2 M.